Roller shutter garage doors are great if you need to save space. Each section of the door is small so the door can roll up neatly above the garage opening, saving space and not blocking any storage space or lighting in the ceiling. Roller shutters are especially useful if you have limited space on your drive as you don’t need to leave room for an ‘up and over’ door or hinged doors to swing open. Roller doors are inherently more secure than traditional garage doors because they are secured to the door frame, making them much more difficult to open (if you don’t have the electronic opener). The fact that there are fewer gaps between the door and the door frame also offers more insulation than traditional doors, as well as fewer opportunities for insects and small animals to get into your garage. The first choice you’ll need to make is whether you want to have an insulated double-skinned or single-skinned roller door. Double-skinned roller doors offer greater security as well as better insulation and protection from noise, both of which you’ll need if your garage is attached to your house. Single-skinned roller doors are the cheaper option, but offer less security and no insulation. If you are looking for a roller shutter garage door that will last a long time, do not buy a cheap one! It isn’t just a case of how thin or secure the door is, you also need to take into account the mechanics of it – a good quality motor drive will be more reliable and durable. 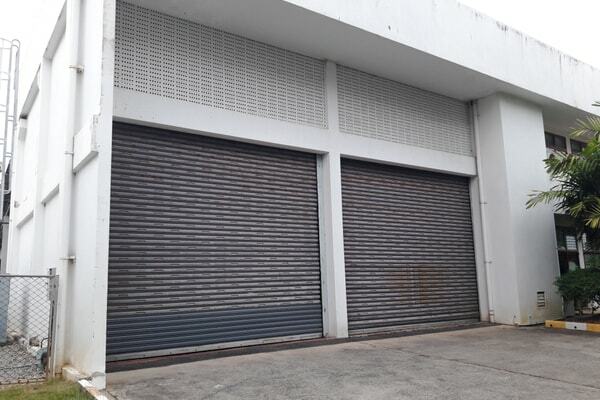 Roller doors can be made from G.R.P., P.V.C., steel or aluminium. The materials come in a wide range of colours and finishes – including wood-effect – enabling you to choose something that fits in well with the rest of your property. If you would like to talk to us about the best roller shutter door for your garage, ring us on 01992 630 404 or visit our Hertfordshire showroom.